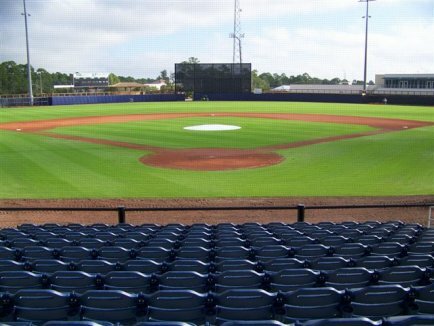 Burbank Sport Nets was able to showcase the versatility of the UDR2 Dyneema backstop and Dyneema cable system at the Charlotte County Sports Park (Minor League Baseball’s Charlotte Redfish stadium). The Dyneema backstop cable system runs nearly to the outfield fence with virtually no sag. Not to mention, the UDR2 Dyneema backstop is virtually invisible.